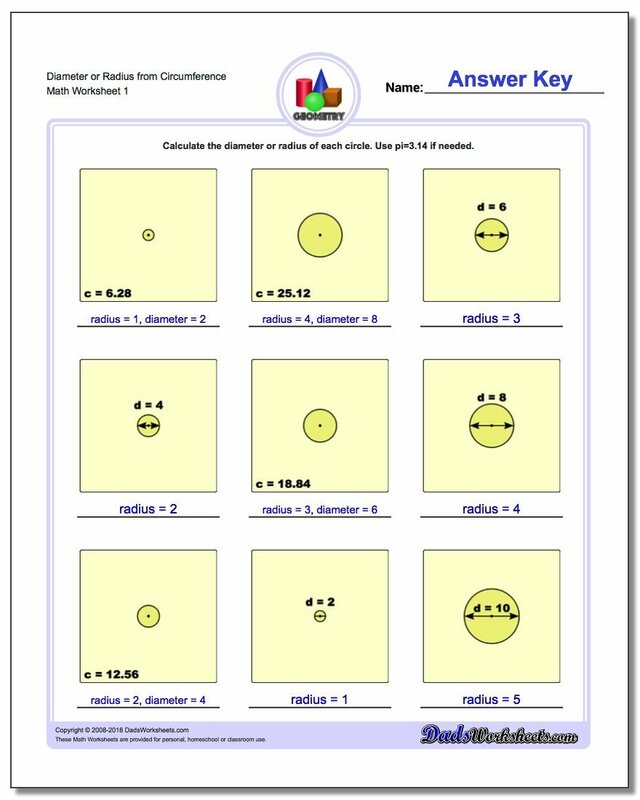 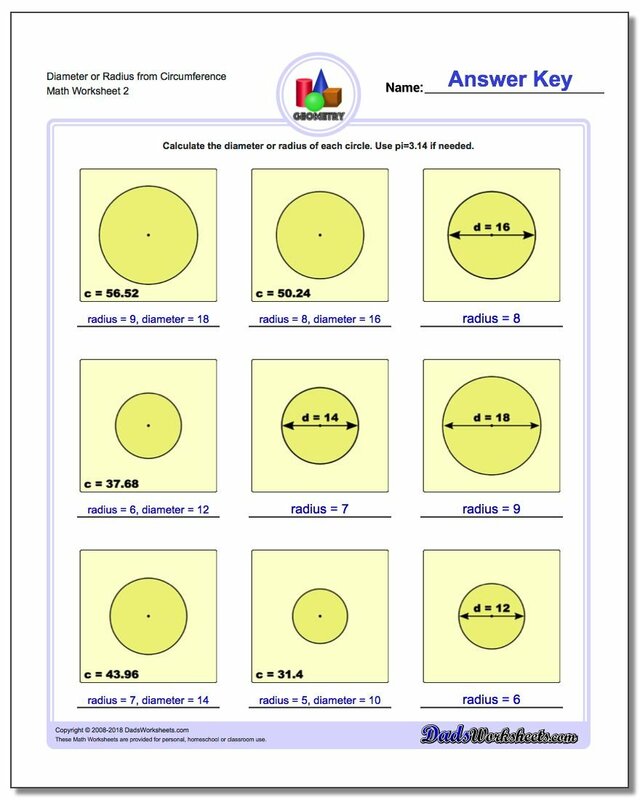 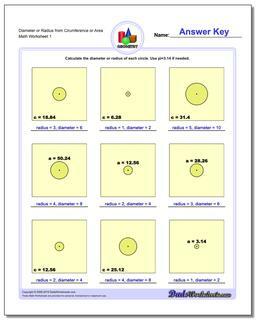 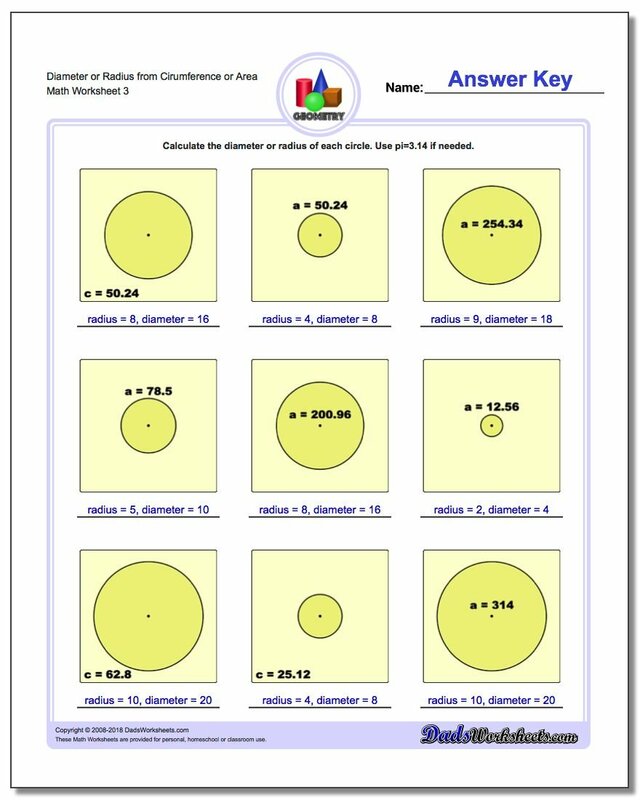 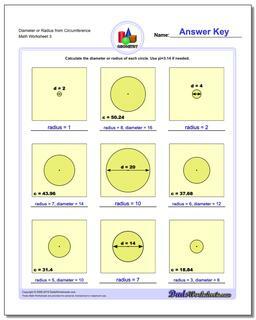 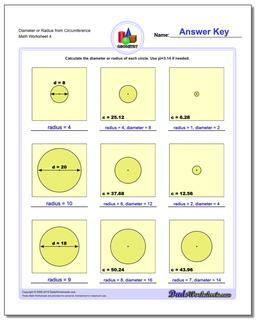 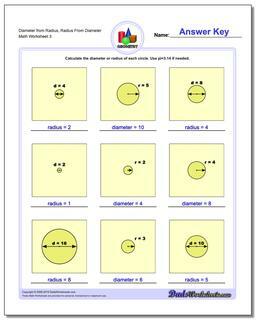 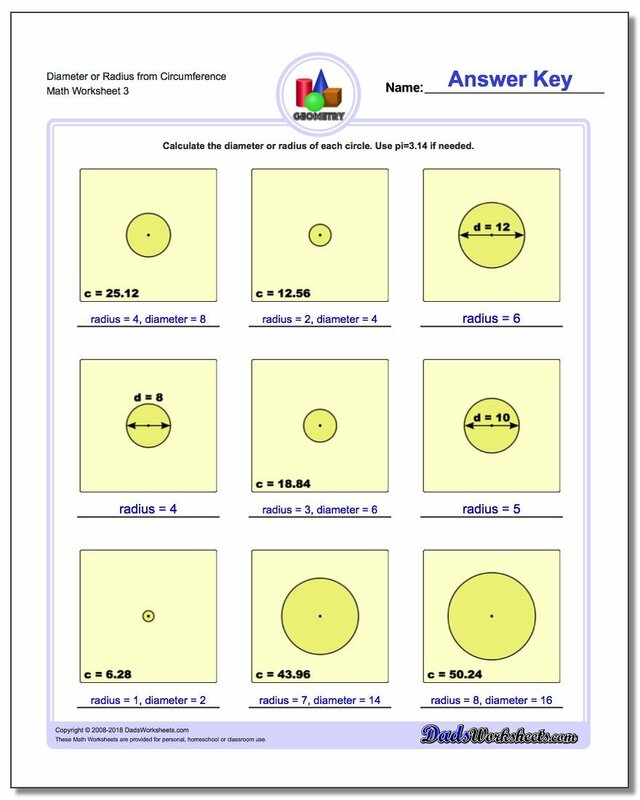 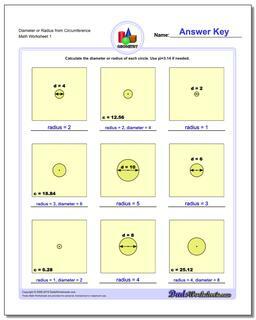 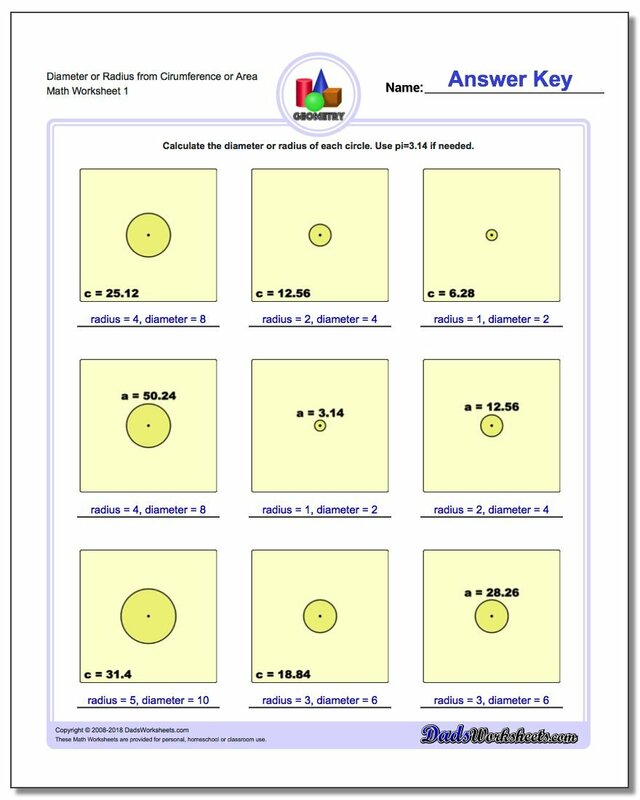 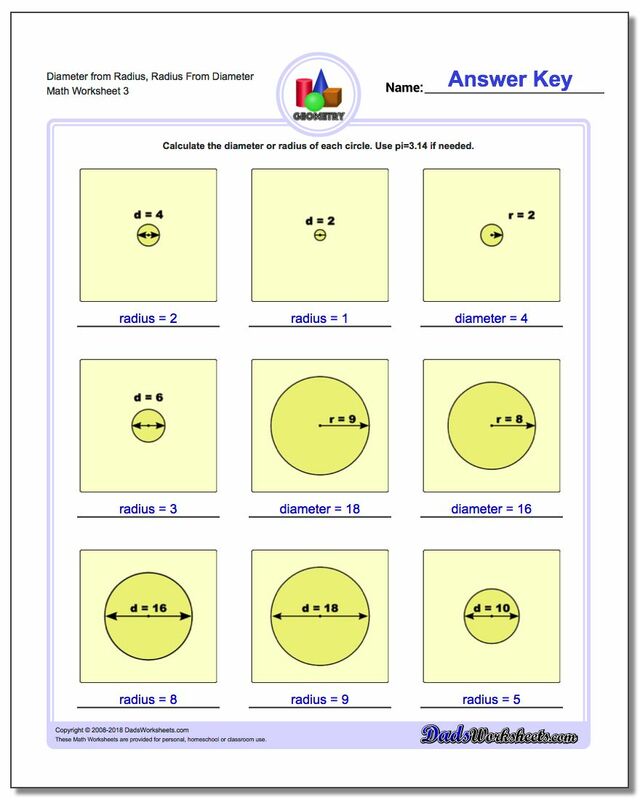 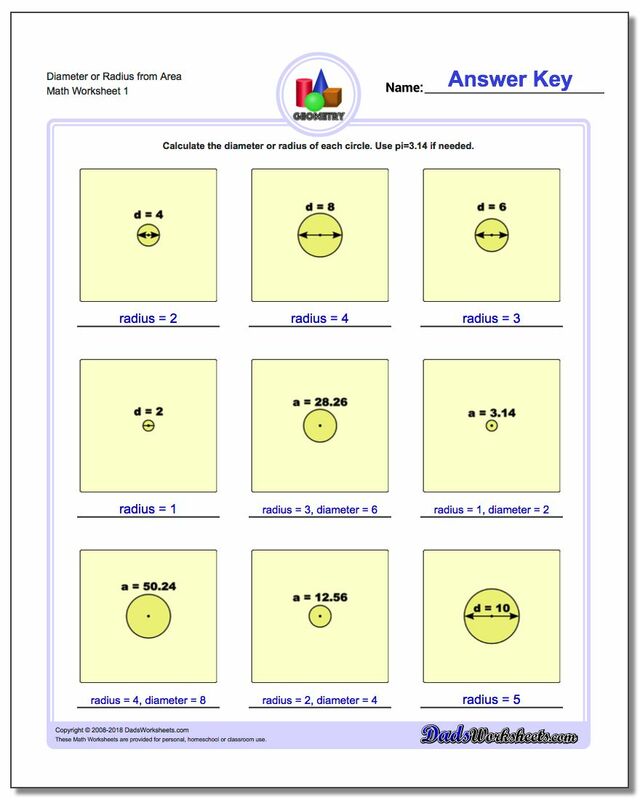 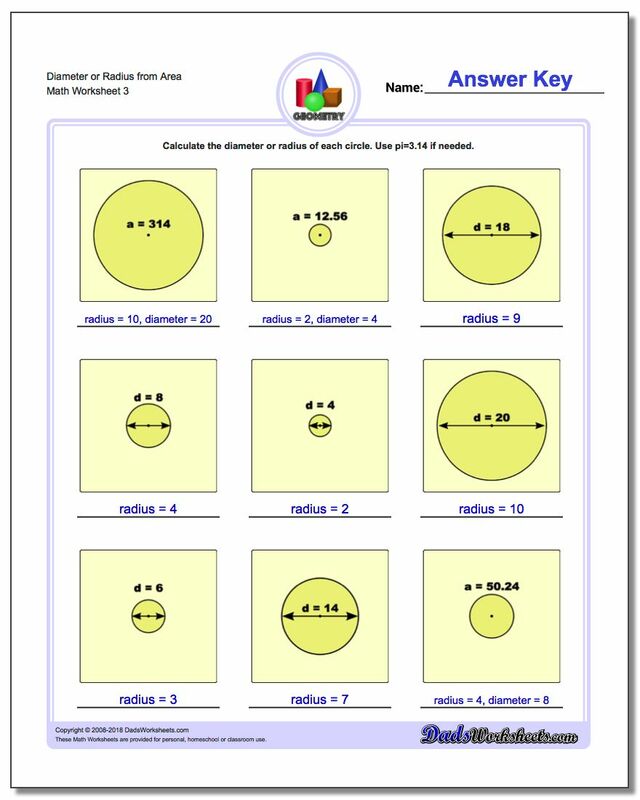 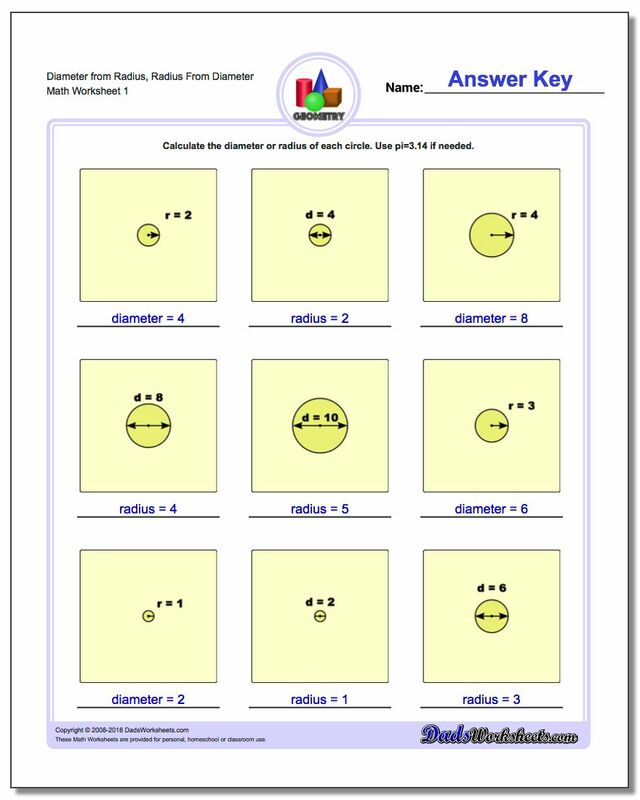 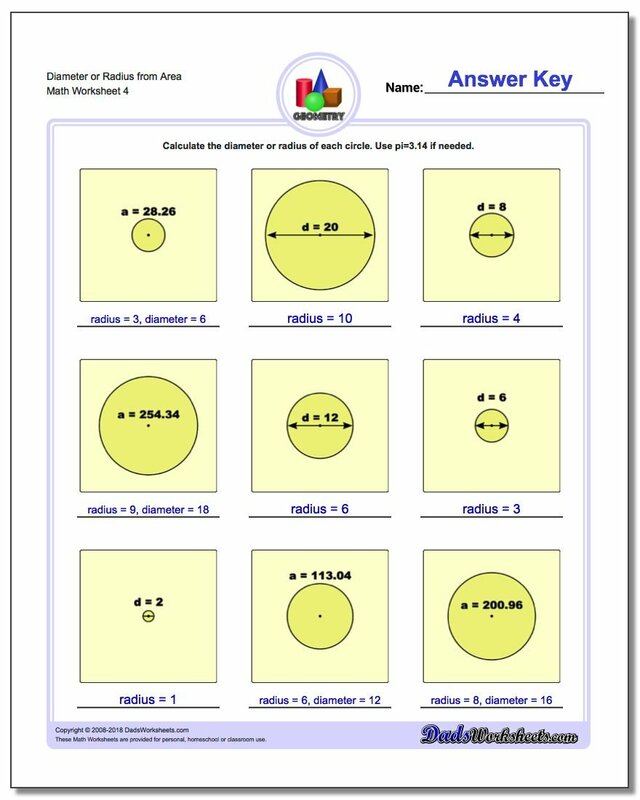 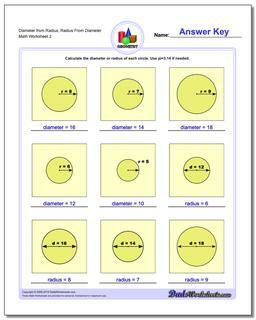 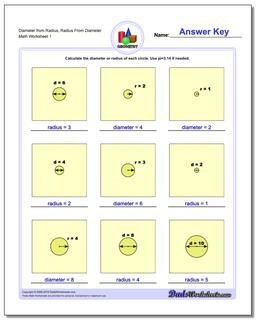 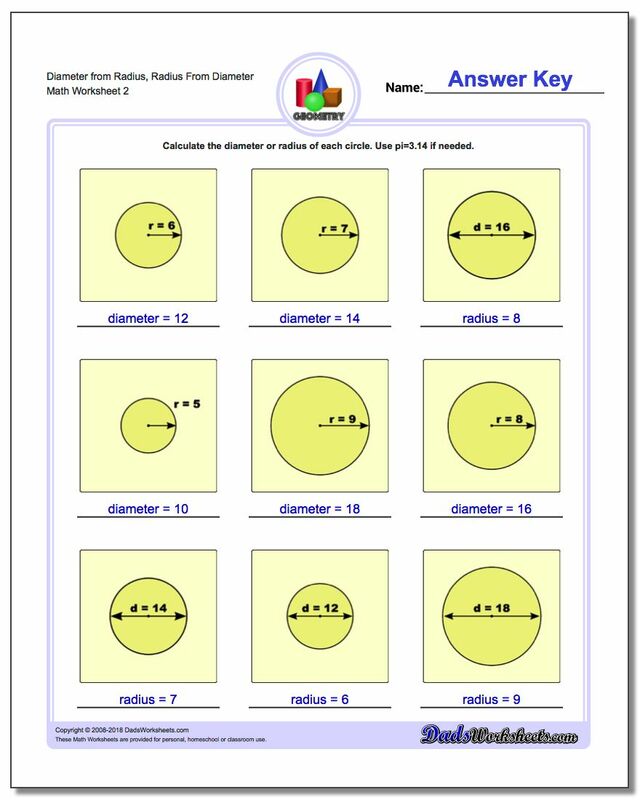 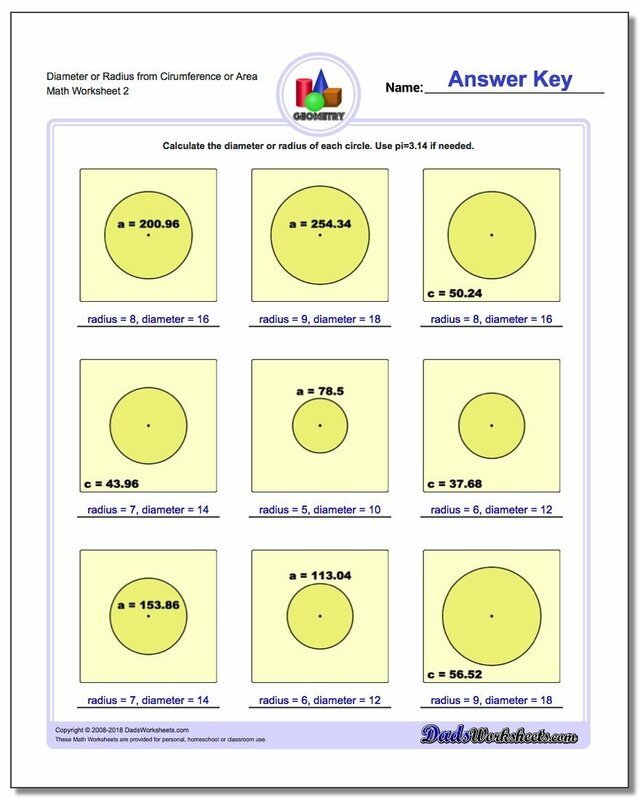 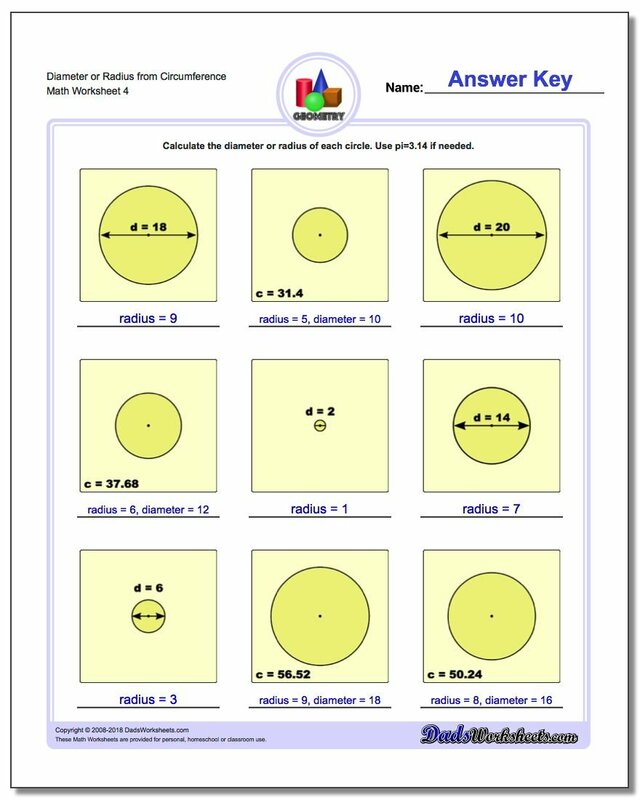 Worksheets to calculate radius from diameter, diameter from radius, or radius and diameter from area or circumference. 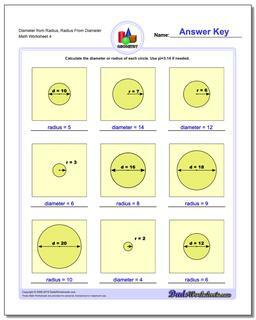 When first studying circles, many students often confuse the diameter and the radius. 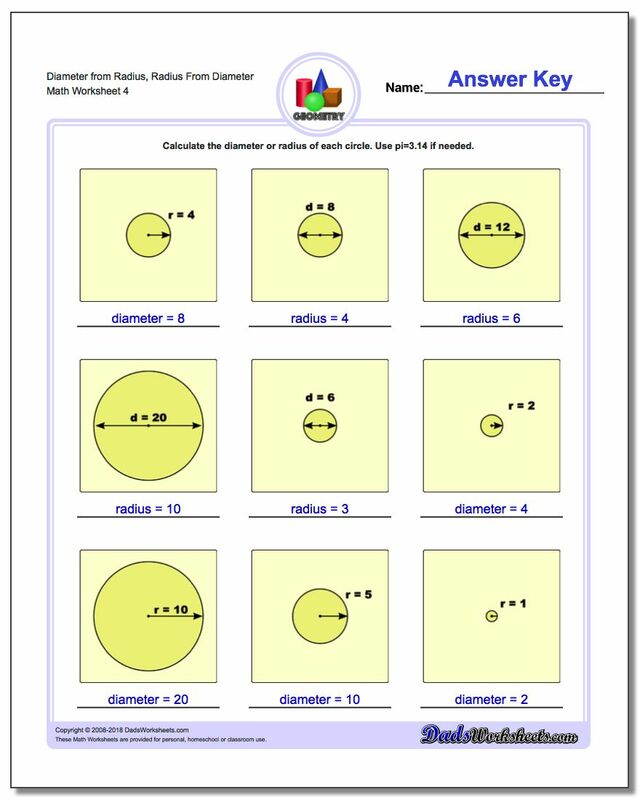 Even though these two values have a very simply relationship, simple worksheets that practice calculating one from the other can help cement this knowledge before moving on to more complicated circle operations such as calculating the area and circumference. 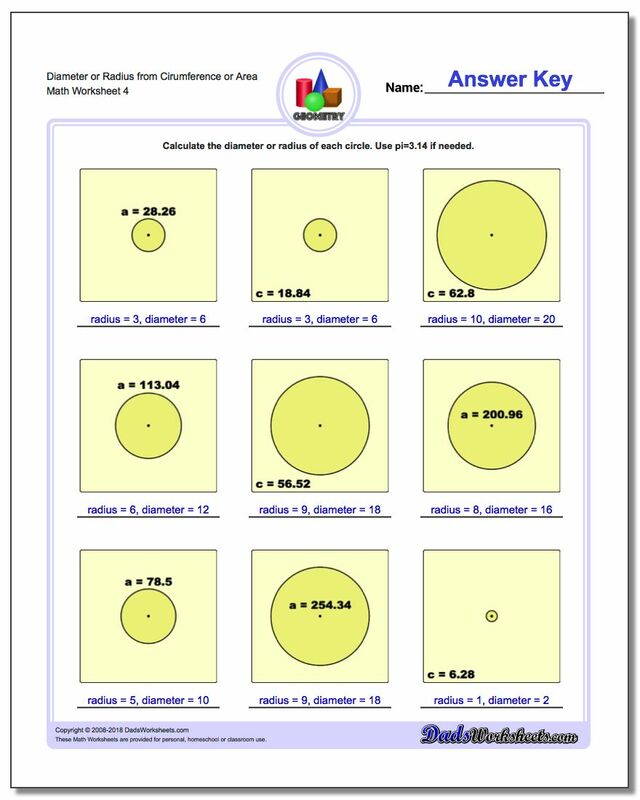 Later worksheets in this section require the student to work backwards from the area or the circumference to determine a circle's diameter and radius. 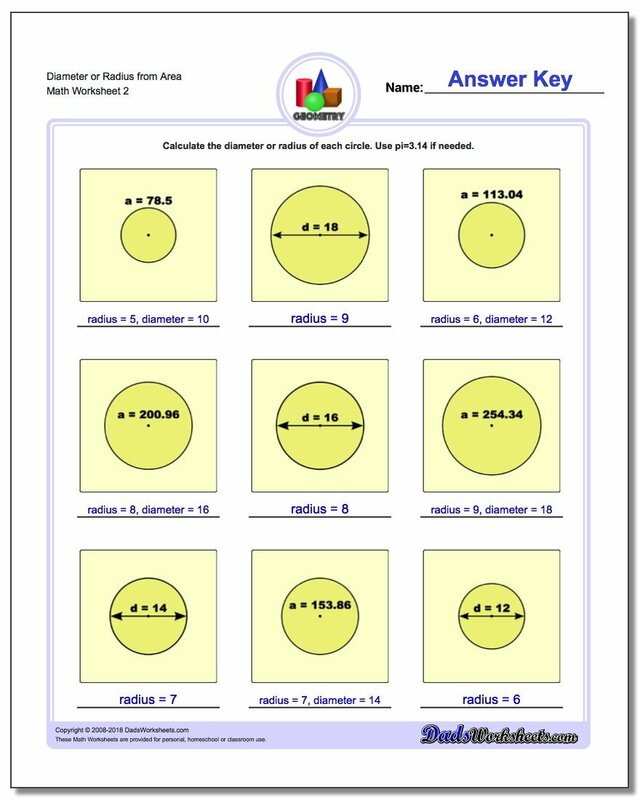 These are some of the earliest calculations that require a student to use the constant pi to solve the problems. 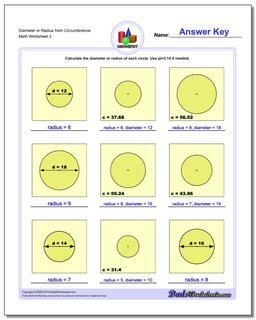 For purposes of hand-calculation, pi is assumed to be 3.14 when solving these problems.